The rousing combination of baroque inspired shapes and rustic neutral color patterns evokes a sense of humbled nobility. 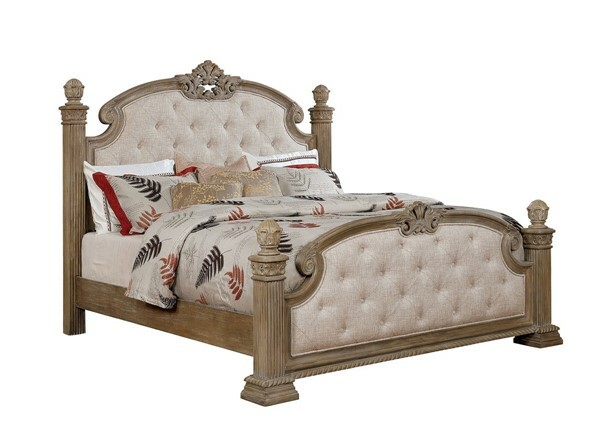 This bed is a luxurious addition to your home. The colonnade corners and supports add a sense of visual restraint and lead the eyes up vertically. Ample padded fabric encases the head and footboards giving the ensemble a delicately tufted highlight.